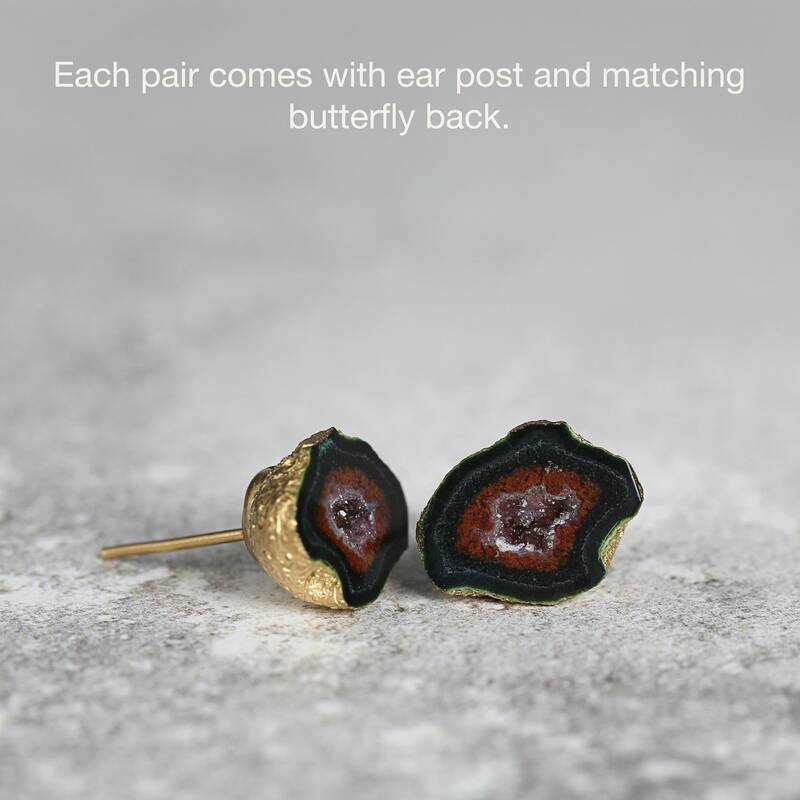 These sparkling geode earrings are wonderful reminders of the beauty of nature and will help you feel connected to the earth as you go about your days and nights. Featuring exquisite little black geodes that show their sparkling crystal centre. Known as 'Tabasco' geodes, they are named after the region in Mexico where they are found. This pair is totally unique, one-of-a-kind and well matched, with beautiful patterns and crystalline structure. 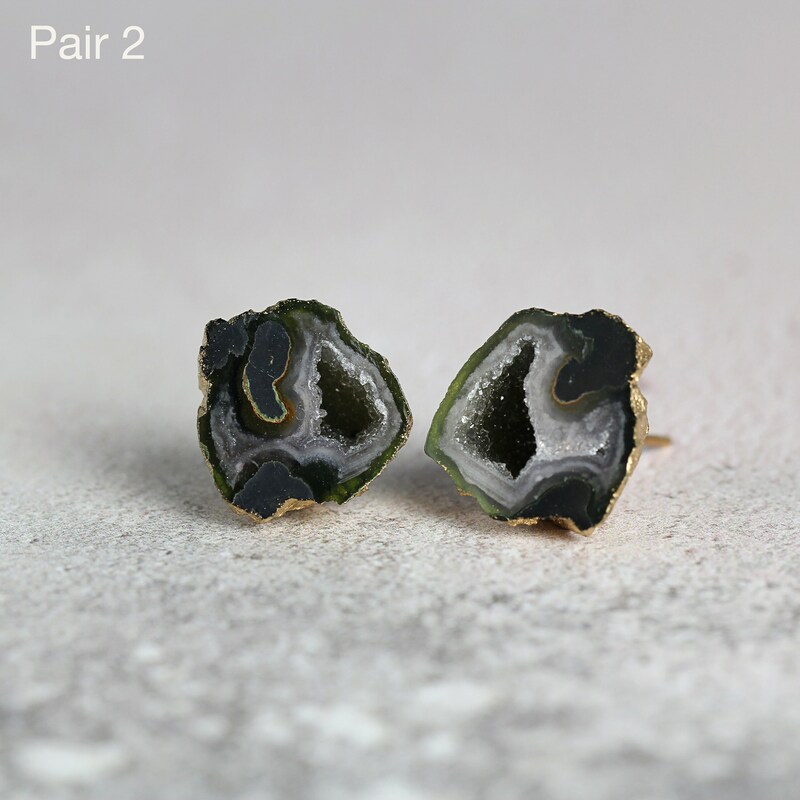 * Pair 2 - geodes measure approx 13 x 13mm at widest point.